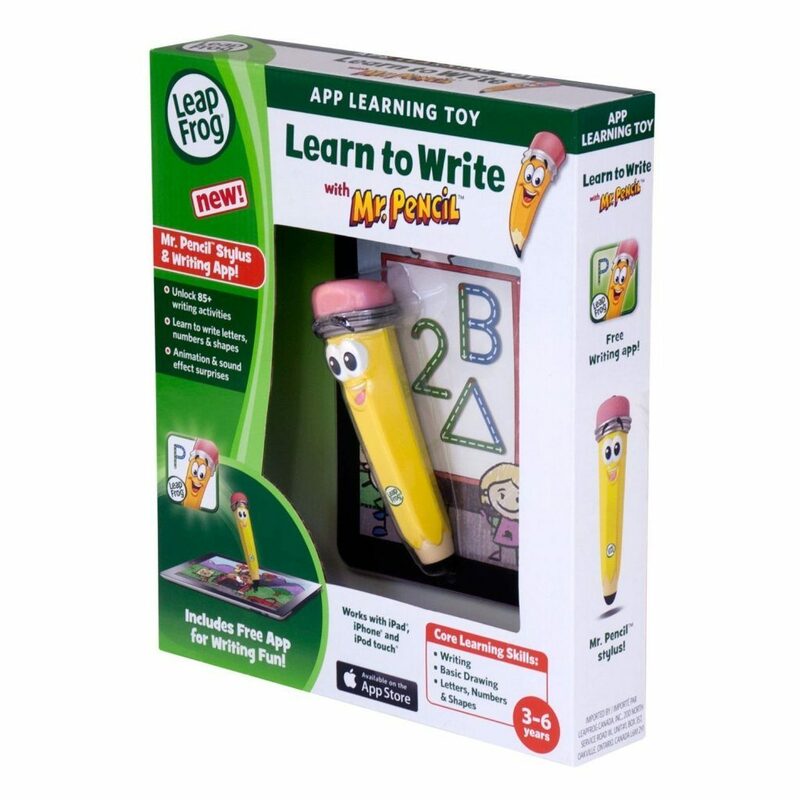 LeapFrog Learn to Write with Mr. Pencil Stylus & Writing App $7.48 + FREE Shipping with Prime! You are here: Home / Great Deals / Amazon Deals / LeapFrog Learn to Write with Mr. Pencil Stylus & Writing App $7.48 + FREE Shipping with Prime! Head over to Amazon and get the LeapFrog Learn to Write with Mr. Pencil Stylus & Writing App (works with iPhone 4/4s/5, iPod touch 4G & iPad) for just $7.48 (reg. $14.99). Shipping will be FREE with Amazon Prime or an order of $35 or more. Learn to Write with Mr. Pencil is an engaging app toy that teaches writing letters, numbers and shapes through interactive games and activities. This special included app helps teach letters, numbers and shapes with a unique stylus that won’t scratch device screens. Teaches upper- and lowercase letters, numbers 1-20 and basic shapes. The app saves your child?s writing as he/she plays the so you can view progress. Ages 3-6 years.